The Center for Southeast Asian Studies of Northern Illinois University is pleased to announce the First International Conference on Lao Studies (ICLS) to be held on Friday-Sunday, May 20-22, 2005 in DeKalb, Illinois, USA. The main objective of this conference is to provide an international forum for scholars to present and discuss various aspects of Lao studies. The Lao PDR today has a population of roughly five million people, comprising an amazing complex of ethnolinguistic groups. Moreover, the number of people in the Lao "diaspora" numbers as many as twenty-five million. In recent years there has been an increased interest in Laos and its peoples as subjects of serious discussion by scholars and the interested public alike. Indeed, there has been a flowering of scholarly publications on topics pertaining to Laos in the last several decades and a growing interest cultivated by the international media with its global reach. The First Lao History Symposium (www.muanglao.com/laohistory/index.htm), held in the Spring of 2003 at the University of California-Berkeley, heralded the burgeoning of a growing interest in Lao studies among a new generation of scholars. This conference will build on that momentum. 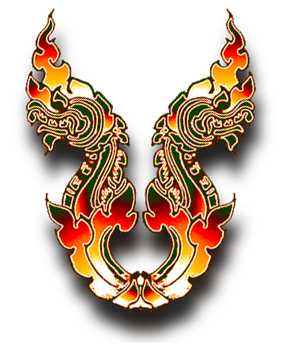 The 2005 conference will feature papers on any topic concerning Lao Studies. The First ICLS will create special panels for individuals, groups or organizations that have three or more presenters. Topics include all ethnolinguistic groups of Laos, the Isan Lao and other ethnic Lao groups in Thailand, cross-border ethnic groups in Thailand, Vietnam, China, Burma, and Cambodia (e.g., Akha, Hmong, Kammu, Mien, Lao Phuan, Tai Lue, Tai Dam), and overseas Laotians. The First ICLS Conference will be held in the Music Building on the campus of Northern Illinois University, DeKalb, Illinois, USA and begins with registration on Friday, May 20 at 12:00 noon. Tentative conference schedule is: Friday, May 20, 12 noon – 10:00 pm; Saturday, May 21, 8:30 am - 10:00 pm; Sunday, May 22, 8:00 am – 12:45 pm. The Lao community of Elgin, Illinois will be hosting a Lao Cultural Night in Elgin on Saturday, May 21, 2005. The evening will include performances, exhibits and Lao food. An optional dinner may be available for a donation of $20/$15 per person. Please pay at the door or pre-order, see information at http://www.laoculturenight.laostudents.org/. Please indicate your interest in the optional dinner on the registration form. (Note: NIU is NOT responsible for this event). Bus transportation to and from the Lao Cultural Night in Elgin will be provided at no extra cost to registered participants of the conference. If you will need transportation to Elgin Saturday evening, please indicate on your registration form. If you are driving to Northern Illinois University, parking will be limited on Friday. We have arranged for special Parking Permits for the duration of the conference. The Parking Permit is only $2.50 and is payable with your registration. Please park only in Lots 2, E, B and V as indicated on the NIU Parking Map at: http://www.finfacil.niu.edu/parking/images/04_MapCTP.pdf. These lots are located to the north of the Music Building off Lucinda Avenue. NOTE: To make any changes or additions to your registration AFTER you have registered, please send an email to: outreachregistration@niu.edu or call 1-800-345-9472. Do not re-register. A block of rooms has been reserved until May 15, 2005 for Lao Conference participants in the Holmes Student Center Hotel, Northern Illinois University. To reserve your room at the Holmes Student Center Hotel, you must call (815) 753-1444; fax (815) 753-5099; or email hotel@niu.edu. Please indicate that you are attending the ICLS (Lao) Conference. Reservations are held with a credit card. Northern Illinois University is located 65 miles west of Chicago and approximately 40 miles southeast of Rockford, Illinois. If you need driving directions to NIU, see maps at www.niu.edu/maps.shtml. Northern Illinois University will provide transportation to DeKalb in a university vehicle for a modest fee from O’Hare Airport on Thursday, May 19 and Friday, May 20. The vehicle pickup time for Thursday, May 19 is 7 pm and for Friday, May 20 is 10 am. The vehicle pickup point is at International Terminal 5, Lower Level, International Arrivals, Door "E". Door "E" is located across from the McDonalds' restaurant on the lower level. PLEASE NOTE: The International Terminal is separate from Domestic Terminals 1, 2, and 3 and the Airport Transit System (ATS) is the only means of transport between the two terminals. Space on the NIU shuttle is by advanced reservation and pre-payment only - $25.00 each way (non-refundable). The O'Hare pick up point is the same for ALL pickups at O'Hare airport. If you are arriving at Midway Airport, there is public transportation to O’Hare for minimal fee. Returns to O’Hare will be on Sunday, May 22 at 9 am and again at 2 pm. Pick up for returns to O’Hare will be at the Holmes Student Center, Carroll Avenue entrance. It takes approximately 1 ½ hours to get to O’Hare Airport from DeKalb. Returns to O'Hare will drop off people at each terminal (1, 2, 3 and 5). To make your own travel arrangements if you are arriving on a different day, contact limousine listed at www.seasite.niu.edu/lao/LaoStudies. The limo cost is approximately $60 one way. You must make these arrangements before arriving in Illinois. There is no public transportation between the Chicago airport and DeKalb, Illinois. NOTE: To make any changes or additions to your registration AFTER you have registered, please send an email to: outreachregistration@niu.edu or call 1-800-345-9472. On-line registration will be closed on Wednesday, May 18. You can still register by fax or phone. All registrations are confirmed with payment. Payment should be received by April 29, 2005. [ ] Check for $_____________is enclosed, payable to Northern Illinois University. Requests for refunds must be made in writing prior to May 1, 2005. A full refund, minus a $15 service charge, will be issued for each request. No refunds will be made for requests postmarked after May 1, 2005.